The Toronto Raptors made a major move when they acquired Spurs super-star Kawhi Leonard, and they may be making another move or two to fill out the roster. 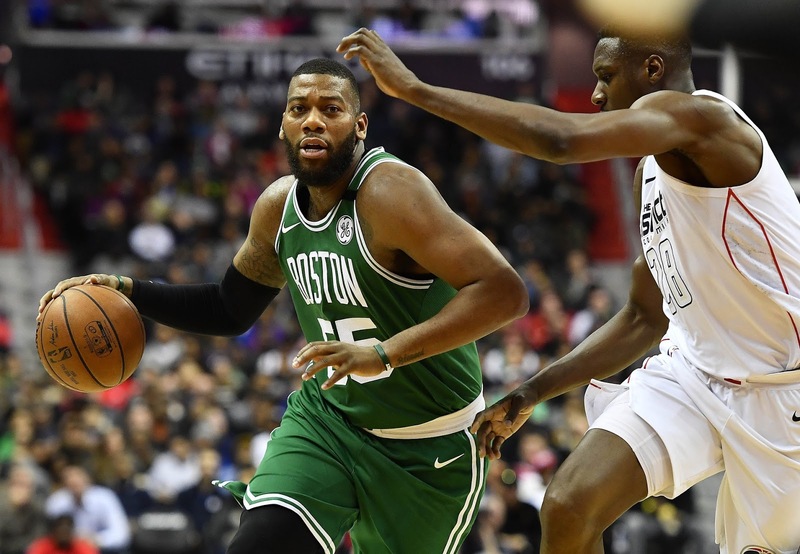 One of those moves might possibly bring in former Celtic Greg Monroe. The Celtics signed Monroe last season, but he never seemed a good fit with what Brad Stevens was trying to accomplish. But Greg proved that he could still produce, notching a triple-double on April 6, 2018 against the Chicago Bulls. With 13 players on guaranteed or partially-guaranteed deals, the Raptors are looking to fill that 14th spot with another big and have shown interest in a number of available players, including former Pistons centre , according to league sources. (Greg) Monroe, one of the biggest names left on the market, wouldn't address their most pressing frontcourt need - rim protection - but could give Toronto another experienced and gifted scorer, and some more depth, off the bench. They can use the smaller mid-level exception of up to $5.3 million to sign another player, if they choose, although they're already projected to pay a sizeable luxury tax bix, and may decide to fill out the roster with more cost efficient options. Expect to see plenty of lineup variations with one traditional big and four interchangeable guards or wing players, as (Coach Nick) Nurse looks to capitalize on the team’s newfound versatility. (Kawhi) Leonard and (Danny) Green can both play three positions and comfortably defend or switch onto at least four. Siakam can do the same. Their four point guards – Lowry, Wright, VanVleet and – are all plus-defenders and can share the floor, with Wright even playing some small forward. This is far from a done deal, but right now Greg is looking for a place to land here he can contribute, and he could do worse than the Raptors. Let's just hope he doesn't pull off another triple-double, this time against the Boston Celtics.